Lizbeth Hamlin MA, LMFT has been a practicing psychotherapist in both Santa Rosa and San Francisco, California for over 35 years. 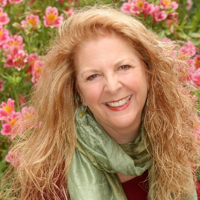 Her orientation is from a Jungian based, attachment focused model utilizing EMDR, Authentic Movement, the creative process, mindfulness disciplines and a somatic approach to healing relational and childhood trauma. In her private practice she has worked extensively with seasoned professionals, business owners, artists, couples, body pain and women with breast cancer. She views each individual uniquely and provides a strong container for the healing to occur, believing that each individual has the ability within to become more fully who they are meant to be. She is an EMDRIA Certified EMDR therapist and Approved Consultant. She is open to both clinical and consultant referrals in both locations.